Constructed of 100% textured cotton with a light and rough weave, this strappy sundress exudes vintage class. Layered and flowing with a bright print and solid color apron front and contrasting base. Mid length, irregular hem and adjustable straps. Available in 2 colors and sizes from M-5XL. 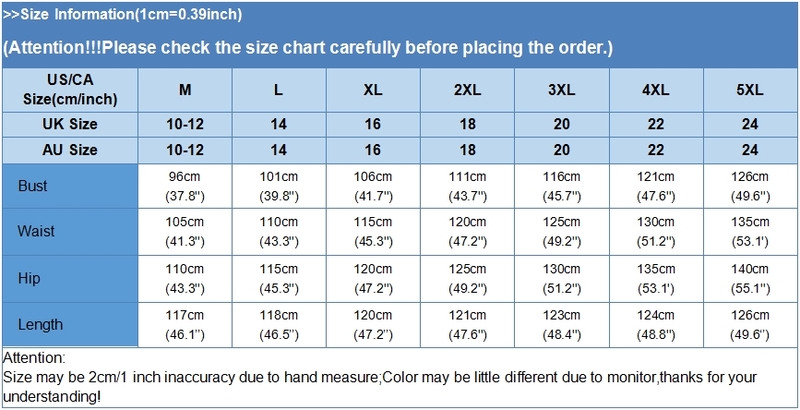 Please measure according to the chart below before choosing size.